Living in Friuli, this seems to be one of the more ubiquitous amari. I honestly consider it a bit of a "beginners" amaro, along with things like Averna... It's too sweet for me, and like you wrote, more adapted to an aperitivo with ice and a slice of orange, rather than a true digestivo. Nonetheless, another well-researched and interesting post on amaro, which you never see... Thanks! 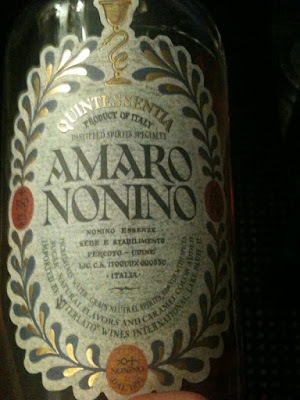 Hi- I once lived in Italy but I never tried Amaro- I feel like I am missing out and will now try to get hold of some! I have been reading some of your blog entries- really well written and interesting. I myself am an English man living La Rioja, Spain (one of the big wine producing regions here as I am sure you know) and since living here have been getting into my wines..